At the annual National Delta Congress, outgoing Delta Programme Commissioner, Wim Kuijken, shined the spotlight on Smartroof 2.0. 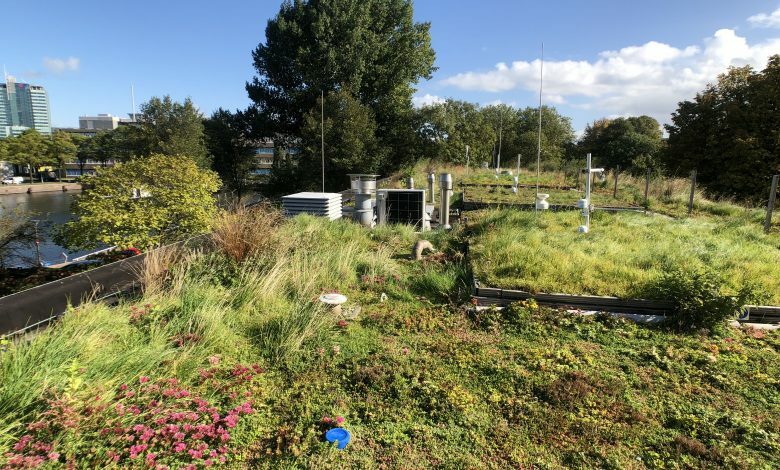 Over the last two years KWR, in collaboration with partners within TKI Water Technology, has carried out research in Amsterdam’s Marineterrein on the blue-green roof known as Project Smartroof 2.0. The blue-green roof captures rainwater, stores the water and then reuses it through the evaporation of various plants, thereby helping to cool the city on warm summer days. Sensors measure and regulate the water management and the vegetation’s exact evaporation levels. 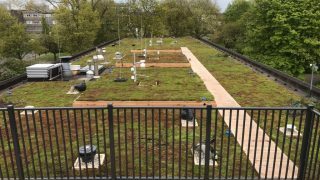 KWR’s research results into the hydrological and energy functioning of the blue-green roof were recently published and were also presented at the National Delta Congress. Every year the Delta Commissioner pays tribute to an individual or project in the Delta Programme. This year the honour was partly directed at Smartroof 2.0, ‘a special project involving a solid combination of science, innovation and a practical solution to a huge problem’. 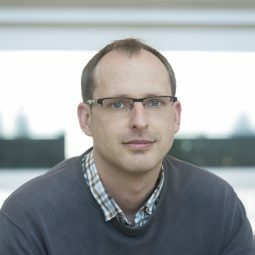 Project leader Sacha Stolp, of the municipality of Amsterdam, was clearly thrilled by this wonderful recognition and expressed the hope that many more ‘ruggedly attractive’ roofs of this type will soon be created in the Netherlands. Project Smartroof 2.0 is a TKI Water Technology innovation project of the municipality of Amsterdam, Waternet, Drain Products, Aedes Real Estate, KWR and Marineterrein Amsterdam. Together, the partners studied how the transformation of black to blue-green roofs can contribute to a liveable and climate-proof city. Climate change has a negative impact on human welfare. Moreover, the city’s steady growth means that the pressure on the public space will inevitably increase. New and existing public space must therefore be smartly equipped and managed, and thanks to blue-green roofs, the city’s hot, black roofs can be transformed into functional, cool, green oases. Project Smartroof 2.0 is co-financed by the premium scheme of the Top Sector Alliances for Knowledge and Innovation (TKIs) of the Ministry of Economic Affairs and Climate Policy. 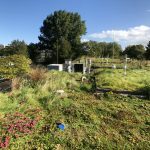 During the two-year research, the effect of blue-green roof, with a new drainage, storage and capillary irrigation system, was compared to that of a traditional green roof. The results showed that the latter has a low evaporation level and a limited cooling effect. 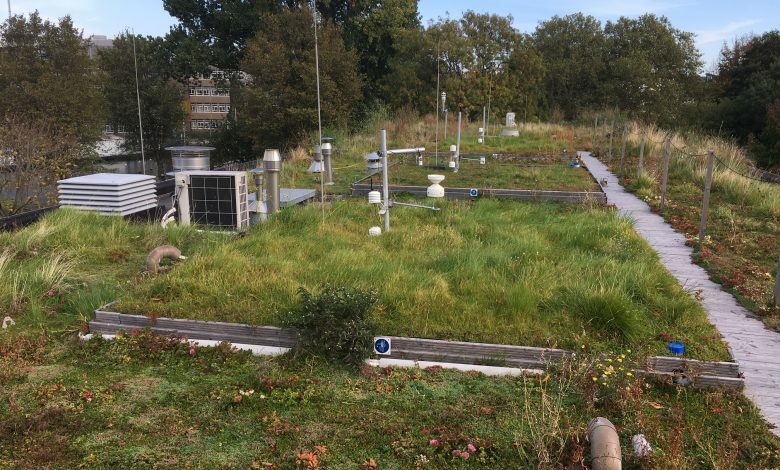 The roof equipped with the Permavoid storage and capillary irrigation system, in turn, showed plant evaporation levels comparable to those of normal forests and fields in the Netherlands, including during hot, dry periods. 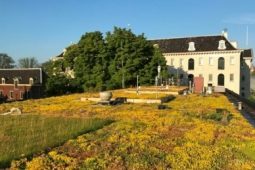 Over a two-week dry period in 2017, the traditional green roof evaporated 18 litres of water per square meter. The blue-green system evaporated 42 litres per square meter over the same period; this not only had an important cooling effect, but also meant that a large amount of rainwater did not end up in the sewage system. 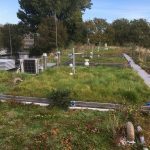 In addition, compared to conventional green roofs, the blue-green roofs over the years convert almost 50% more incoming (solar) energy into water evaporation, rather than into air heating. Another remarkable research outcome concerns the temperature difference between the surface of an ordinary black roof and that of an overgrown blue-green roof, a difference that can reach 40oC on summer days. Also, over only one 24-hour period, 42 different species of insects were found on the new roofs, including a notably high number of flying insects, a thriving population of several species of spider, and even a rare parasitic wasp. 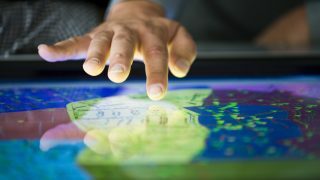 One can therefore conclude that a roof is no longer simply the top part of a building, but that it can also play a key role in the building’s energy performance, the city’s rainwater management, and in diminishing the city’s heat-island effect. Roofs can therefore have a positive impact on people, health and biodiversity. Publication in the scientific magazin "Water"